It was a simple plan. 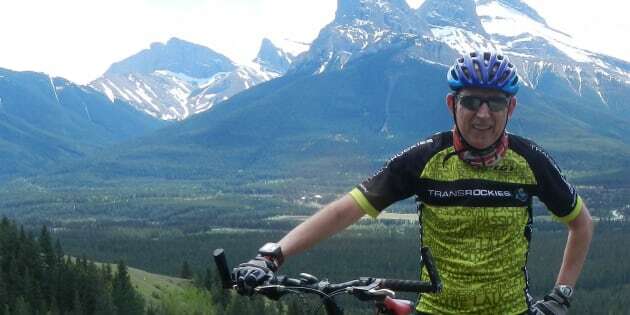 I would have my very first mountain bike lesson on Tuesday and then, on Friday, head up to the Canmore Nordic Centre to sign in for Rundles Revenge. There would be a 25km mountain bike race on the Saturday and a 50km trail run on the Sunday. It was a simple plan. I would have my very first mountain bike lesson on Tuesday and then, on Friday, head up to the Canmore Nordic Centre to sign in for Rundles Revenge. There would be a 25km mountain bike race on the Saturday and a 50km trail run on the Sunday. Rundles Revenge is event two in my TransRockies Quest 888. This is the eighth Quest in my "Quests for Kids" initiative. In total I'm attempting to complete 10 Quests in 5 years, raise $1m for Right To Play and help 20,000 children. Last Tuesday, I arrived at the Canada Olympic Park (COP) in Calgary at 2.00pm and met Rhys Ellis. 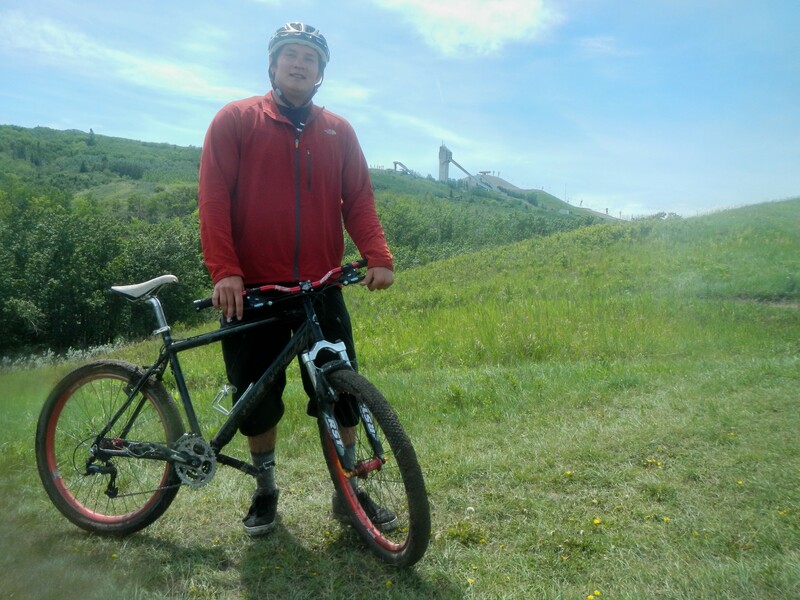 Rhys is the Coach of the WinSport Academy Downhill Mountain Bike Team. He has a team of six athletes whose ages range from 14 to 17. 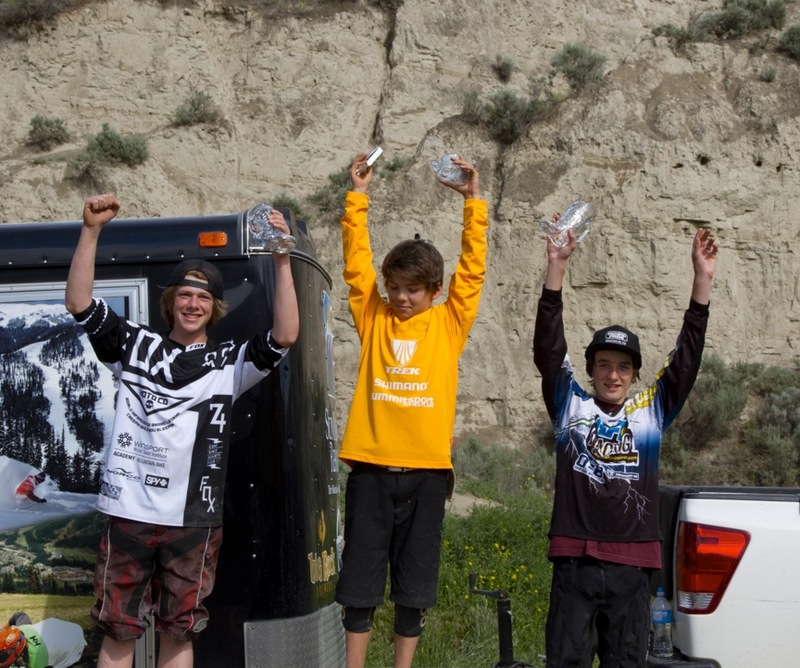 They compete at the Provincial and National level, focusing on the BC Cup Downhill series. 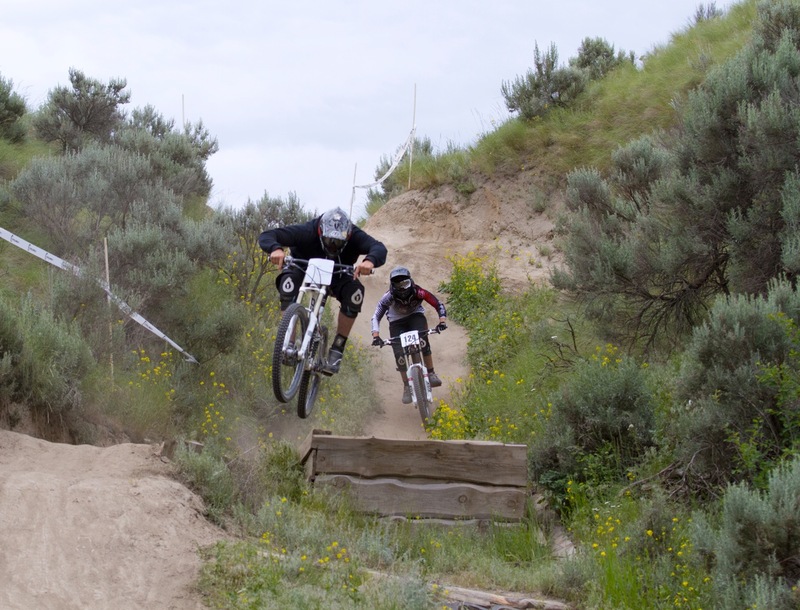 The race team developed from the mountain bike clubs program which started at COP in 2009. 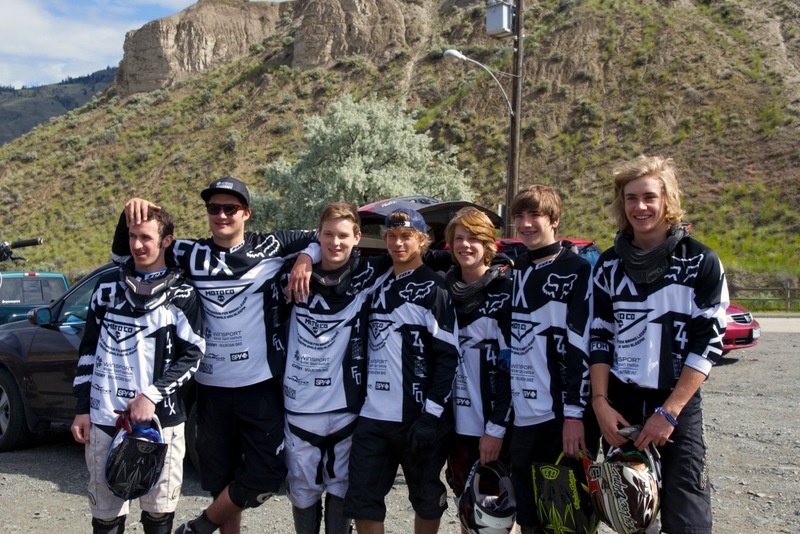 Initially, it consisted of six young mountain bikers who were passionate about the sport. Within 4 years, it grew to 40 riders of varying age and ability. The goal of the programs is to follow the Long Term Athlete Development (LTAD) plan and instil the "Active for Life" mentality for young people. Before we started, Rhys checked over my bike and said that everything looked OK. He had brought along some knee and elbow pads and I was happy to put them on. I want to be clear I am not good at mountain biking. 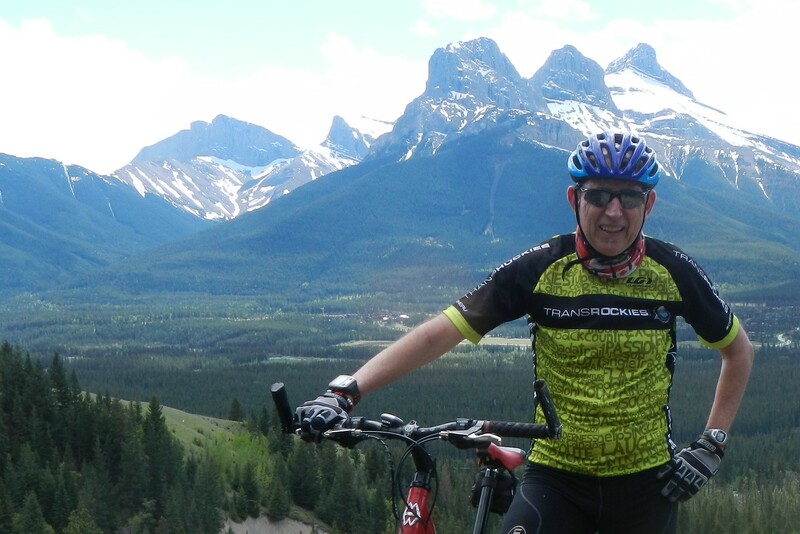 The week before, I had been out with my friend Tom to Canmore and ridden the Horse Shoe Loop. I took a number of tumbles and blood was left on the trail. It was not a pretty sight. •	Remember, when climbing, adjust your hips forward on your seat and drop your elbows and wrists. • Create a field of view so you can be prepared for up and coming terrain. •	Take the path of least resistance; it will usually be the smoothest. •	In all situations, attempt to have balanced weight on front and rear tires, for optimal traction. •	Remember to keep your pedals level to stay balanced. Then the rains came. 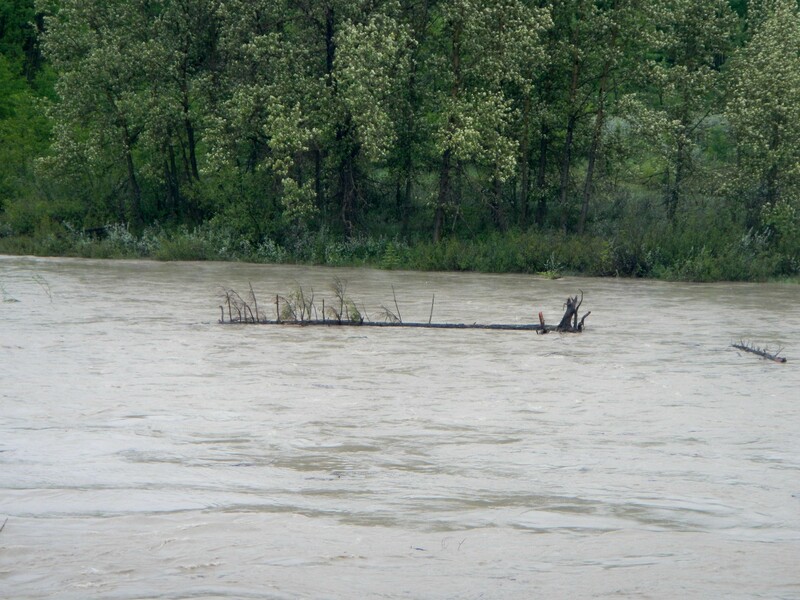 By Friday Southern Alberta was in a state of emergency. Bridge after bridge collapsed. The 1 and 1A highways were closed. Canmore was completely cut off and Rundles Revenge was cancelled. So, my entry into the world of mountain bike racing will have to wait. The third event of TransRockies Quest 888 is scheduled for Sunday, June 30th in Fernie, BC. Stay tuned.